Australian rock legends Rose Tattoo are finally getting the respect they deserve with a new 5-CD box set titled "Scarred For Live." The band quickly followed fellow Australian band, AC/DC into the rock realm in the late 1970's. Rose Tattoo found huge success in their home country of Australia, along with Europe, but failed to make a dent in the U.S., that is until an up-and-coming Los Angeles rock band named Guns N' Roses covered one of their tracks. GN'R sited Rose Tattoo as a major influence and their cover of "Nice Boys," turned Rose Tattoo into an international sensation. 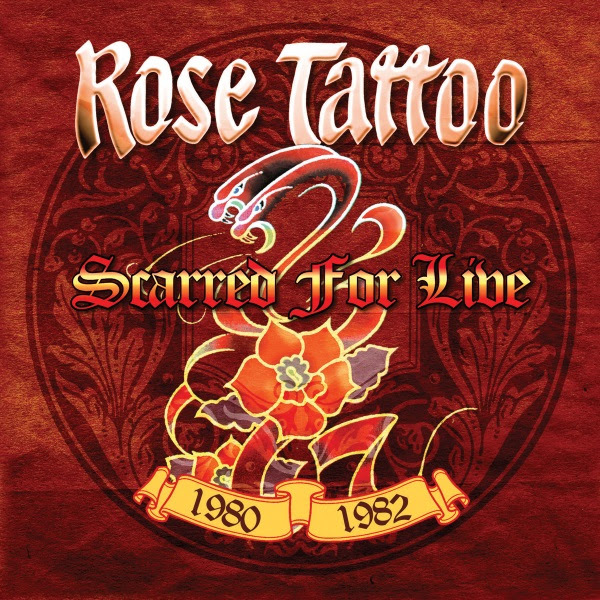 This new five disc live set covers the peak of Rose Tattoo's touring years between 1980 to 1982. Each disc features a different show, with some repetition in the tracks they performed. The one constant throughout this whole set is the energy that the band poured into each performance. Listening to the first disc, recorded January 1, 1980 in Sydney, Australia has the band all fired up, playing some of their classics like "Astra Wally," "The Butcher And Fast Eddy" and of course "Nice Boys (Don't Play Rock 'N' Roll)." They mix-up their set list on the third disc, which is performed at the 1981 Reading Rock Festival in the U.K. to a much larger audience. The energy is still high, as the audience sing along to their famous set closer "Nice Boys (Don't Play Rock 'N' Roll)," which pushes past the eight-minute mark. Disc four finds Rose Tattoo returning to their Australian roots only two years after the first disc, performing at the Hordern Pavilion in Sydney. The band crams 16-songs into their set list, as they sound like a more polished machine, while still delivering the energy with "Manzil Madness" and "All The Lessons." They finish up disc five with one of their few recorded shows in the U.S., as they perform in Washington D.C. Rose Tattoo deliver their nine-song set with a certain swagger, as displayed in "We Can't Be Beaten" and "Juice On The Loose." They close with "Scarred For Life," which appeared on the band's best selling studio album. This five-disc box set was released back in October through Deadline Music, a division of Cleopatra Records. 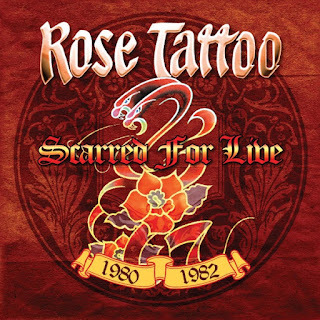 To find out more about Rose Tattoo's "Scarred For Live" box set, please visit cleorecs.com.